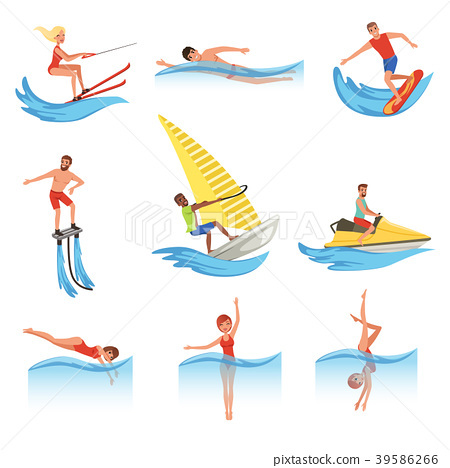 Set with young men and women involved in various water sports. Cartoon people characters. Active lifestyle. Summer vacation. Outdoor recreation. Colorful flat vector illustration isolated on white.